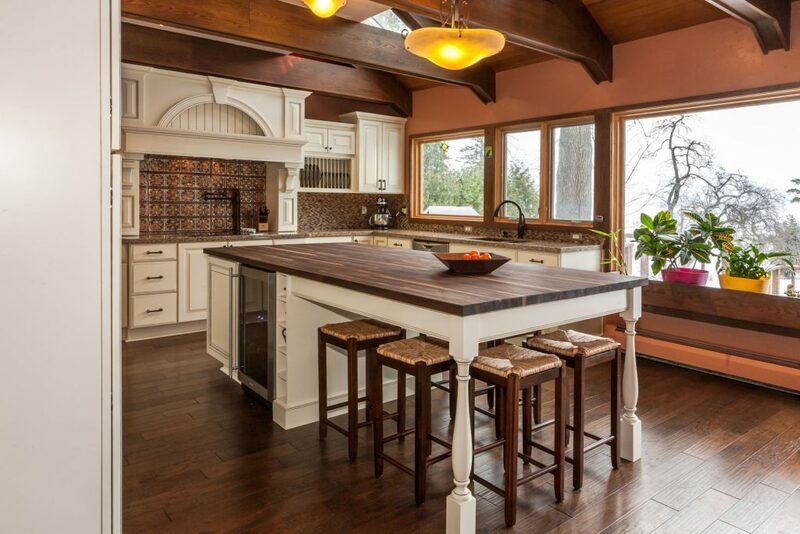 This home located on the shores of Lake Superior along London Road in Duluth, MN has gorgeous views of the lake with a less than lovely kitchen. 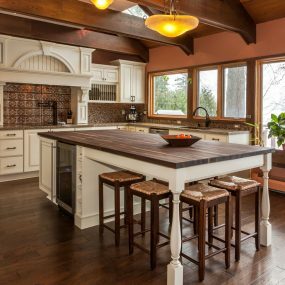 The couple that owned the home love to spend time in the kitchen cooking and entertaining. 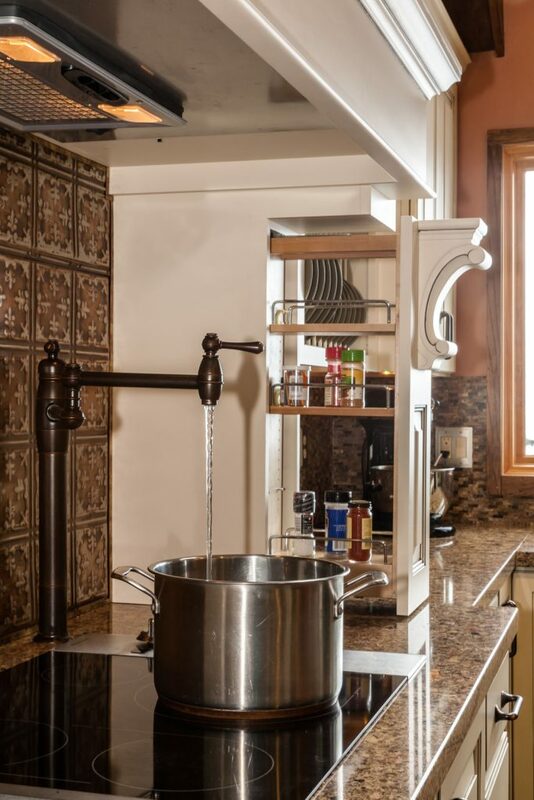 The kitchen was not conducive to this at all, so they hired Knutson Custom Construction to give them their ideal kitchen. 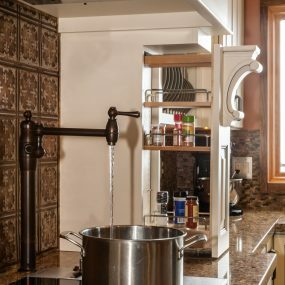 Their new space would have a lot of room to not only cook but to entertain and serve food to family and friends, while enjoying the beautiful views of the lake. 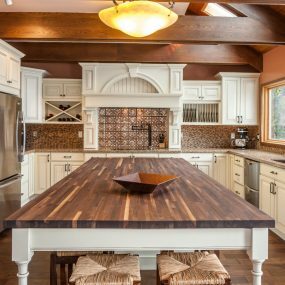 The homeowners wanted to stay true to the style of the home with their kitchen remodel. 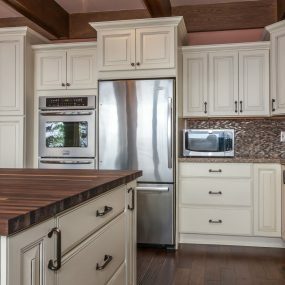 They chose a more traditional off white cupboards complete with dish slots & slide out spice racks. 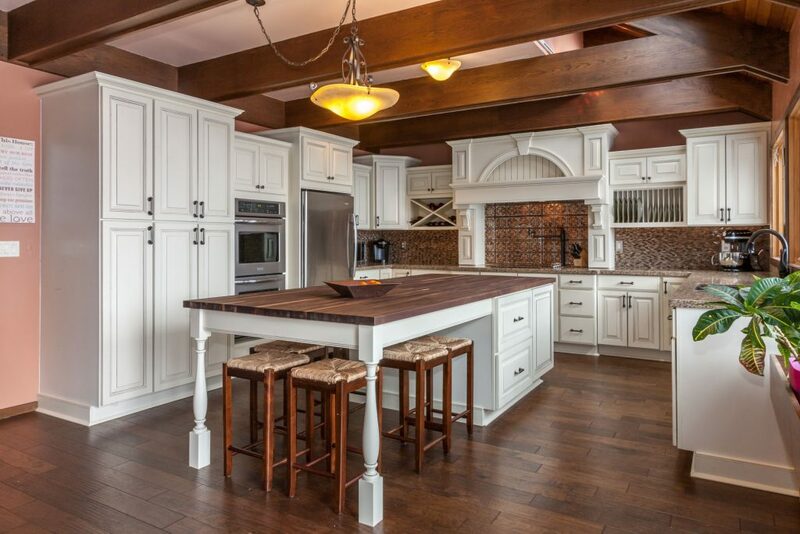 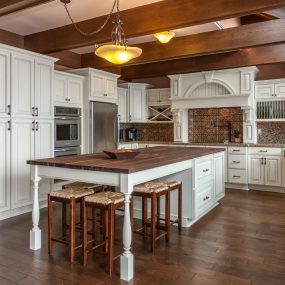 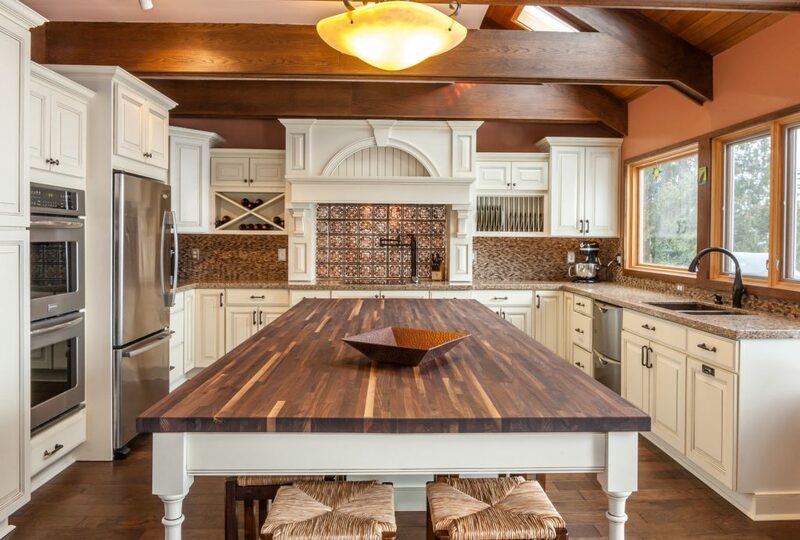 The large island built specifically for entertaining is complete with a beverage fridge and butcher block counter top. 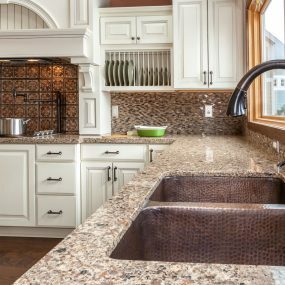 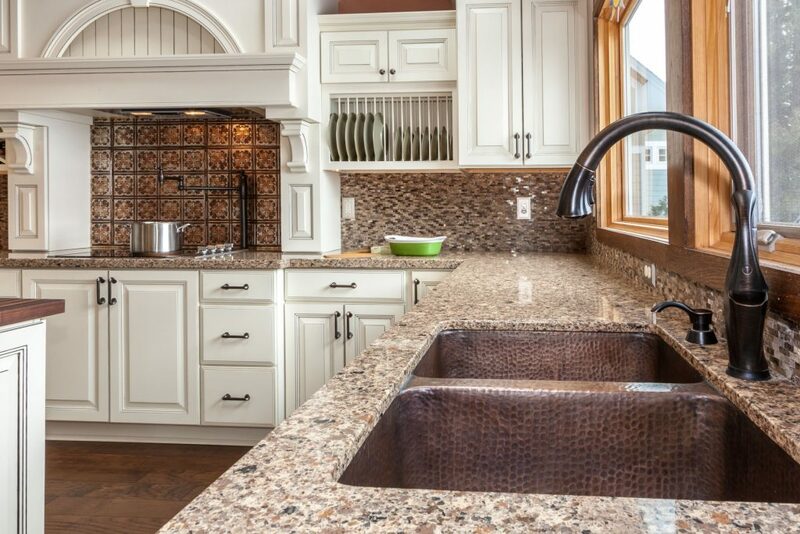 Granite countertops accentuate the beauty of the copper sink. 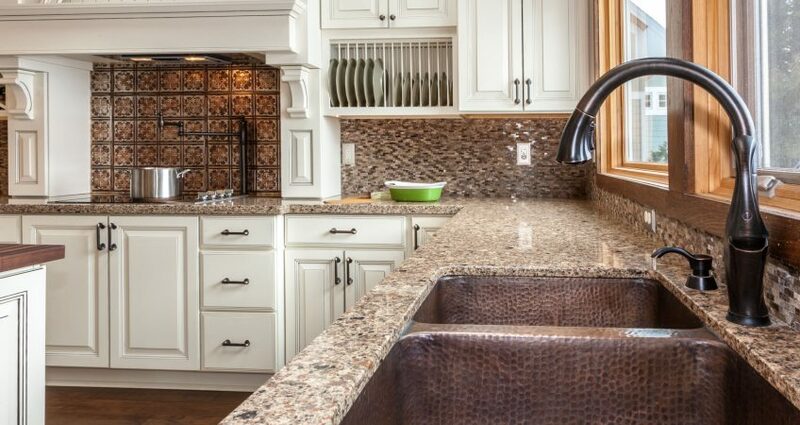 Glass tile covers the back splash which is complimented with a copper tile backsplash behind the stove. 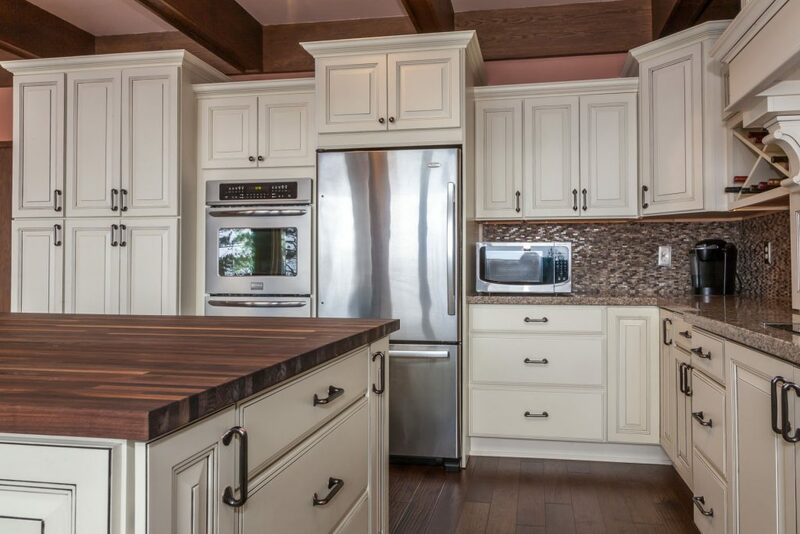 No detail was left out and the homeowners were completely satisfied with the outcome of their new kitchen.